This week the Marion duPont Scott Equine Medical Center (EMC) in Leesburg, Virginia is announcing the launch of a permanent farrier facility. 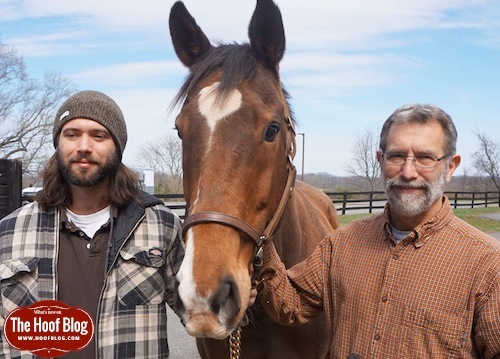 Longtime hospital contract farrier Paul Goodness is in the process of moving his team to Leesburg where he will begin his new staff role as in-­house Chief of Farrier Services for Virginia Polytechnic University, Leesburg division. The EMC is Virginia Polytechnical University’s satellite referral equine hospital and research center for the Virginia­-Maryland Regional College of Veterinary Medicine. The state-­of­-the-­art facility is located west of Washington, DC. The Anzac Hoof: Where were the farriers during Gallipoli? The Anzac trophy hoof / inkwell lives in the heraldry collection of the Australian War Memorial. Today, a salute to our friends in Australia and New Zealand, where it's Anzac Day. It's not exactly a holiday; it's a day of remembrance, lest the people in those countries ever forget the extreme national tragedies experienced during World War I when Anzac (Australian and New Zealand Army Corps) forces landed on the Turkish coast in 1915 at a place called Gallipoli. According to the Australian War Memorial, more than 8000 soldiers and more than 600 officers lost their lives; 17,000 were wounded. For New Zealand it was 7,991 casualties, with 2,779 dead. The combined total on both sides for the attempted siege was more than 130,000 dead. After more than eight months of trying to take the strategic piece of land, the British-led forces--which included French, Australian, New Zealand, Indian and Canadian troops, as well--withdrew. What most people know about Gallipoli is the terrible Australian loss on April 25, 1915,when half of the 500 unmounted members of the Australian Light Horse cavalry who charged ashore were mown down and killed. Revisionist history has blamed British decision-makers for sending the Australians to a near-certain death. The moving 1981 film "Gallipoli", starring Mel Gibson, reinforced that opinion. While the Australian Light Horse and New Zealand Mounted Rifles cavalries fought on foot at Gallipoli, their horses waited in Egypt. A large corps of international farriers waited with them, to care for them, keep them shod, and help them adapt to life in the desert. They kept themselves busy, and hung on the news drifting back to Egypt about what was happening to the horseless Australian and New Zealand forces at Gallipoli. 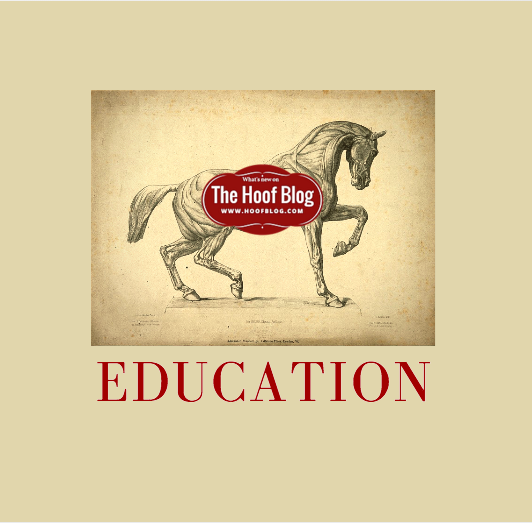 Farrier education in the United States now has a higher level. Today Virginia-Maryland College of Veterinary Medicine (VMCVM) announced the July 2016 launch of a one-year certificate program in advanced farriery skills. The new program will be hosted at the vet school’s main campus at Virginia Polytechnic Institute and State University (“Virginia Tech”) in Blacksburg, Virginia. It’s that time of year. The grass in the pastures is waking up and springing to life. But animals at risk for laminitis require effective strategies to prevent weight gain and overeating that may trigger insulin dysfunction and possibly lead to mild or even severe laminitis and changes in the structure and integrity of the hoof that could cause diminished performance, even if the horse is not overtly lame. 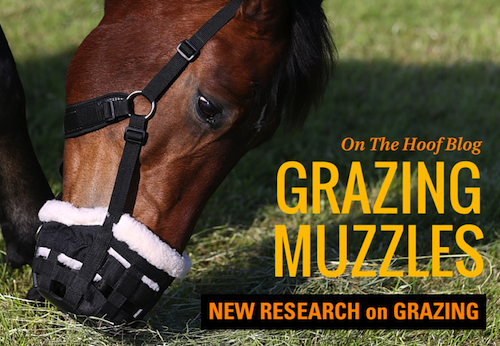 For many horse owners, the first line of defense is a grazing muzzle, even if their horses do detest wearing them. What are the latest findings on how they affect horses? 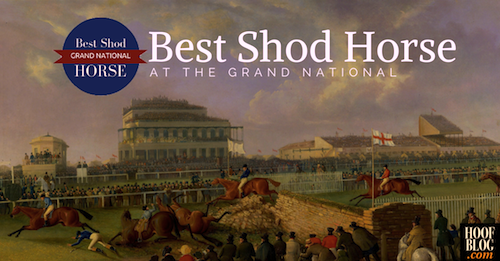 For the first time in the history of both the Worshipful Company of Farriers and racing in the United Kingdom, one of The Company's prestigious Best Shod Horse awards will be judged and presented at a race meeting. The hooves of the starters in England's world famous Crabbie's Grand National will be evaluated by a farrier judge, who will decide which horse's hooves are best prepared to tackle Aintree Racecourse's legendary obstacles like Becher's Brook and The Chair. Which horse will gallop into history on the best-formed hooves and wearing the most appropriate shoes?